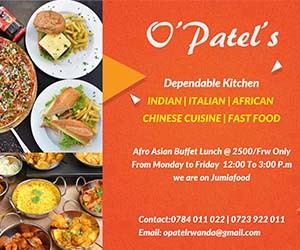 Inequality manifest itself in many ways, and the one showing in Rwanda’s richest neighborhoods has a different skin color. There are two types of families in the neighborhood. The filthy rich and the filthy poor. The rich send their children to good schools and the poor will have their children stay home or meander on the streets unattended to. 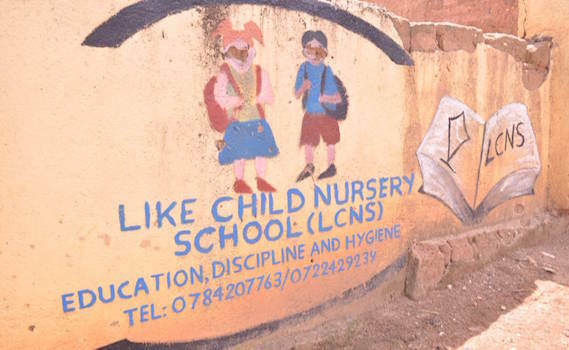 Four years ago, Catherine Niyonsaba and her husband, both residents of Nyarutarama, a swanky neighborhood in Kigali city, started a nursery school and named it ‘Like Child Nursery School’. The idea was to help poor children whose parents could not afford luxurious nurseries such as the prestigious Green Hills Academy where Rwanda’s elites take their children. It was not that easy, though. Luckily, she and her husband and three of her sons are all trained teachers. They all agreed to start and work for the school. When they started in 2013, there were no chairs and other facilities such as toys. Worse, there were not enough funds to run it. “We started with no desks for children to sit on, except for some simple chairs,” Niyonsaba says. At first, they taught street children because their parents were poor and could not afford their education. “Later on, other parents started showing interest in sending their children here.” Niyonsaba said. However, despite the step which has been made, they are still struggling with lack of financial capacity. School fees charged cannot cover expenses. “If we had a chance to get a sponsor and a good environment we would expand our school, ” Niyonsaba explains. Despite these struggles, they do their best so that it does not affect the quality of education given to the children. The vision is to expand the school and combine nursery, primary and secondary level. “If we have enough money, we would buy land somewhere and build a bigger school…that is the wish that we even pray to God for, ” says Laban Mukunzi, one of the founders and also a teacher. Some parents already praise the school for the quality of education it offers because these teachers are not motivated by the desire to make money. A pupil (graduate) writes down her names on a chalk board during the graduation ceremony to prove to parents that they know how to read and wrote. Now, the father says, the girl knows how to read and write. Now she can write both her names. In addition, Mukeshimana says that, at home, her daughter outsmarts other children even those who are in primary school. She is surprised at how the little girl has learnt so much in such an environment. The school, it seems, can do well. However, the lack of ideal resources and financial support is still a big challenge. Meanwhile, Niyonsaba is appealing to local authorities to help her and secure funding. Today, the school has more than 40 pupils, a few desks, washrooms and caretakers. While Rwanda has made good steps towards improving access to education, figures indicate that pre-primary school participation is still low which could possibly affect the quality of education even up to high levels. According to figures from UNICEF, between year 2008 and 2012 regarding pre-primary school participation, the gross enrollment ratio for male children was at 11.1 % while for female children the ratio was at 11.7%. Also, nationally, 11% of children of official primary school ages are out of school. And approximately 12% of boys of primary school age are out of school compared to 10% of girls of the same age. For children of primary school age in Rwanda, the biggest disparity can be seen between the children from poorest and the richest families. Nearly 25% of female youth of secondary school age are out of school compared to 25% of male youth of the same age. For youth of secondary school age, the biggest disparity can be seen between urban and rural youth. It has also been argued that the low quality of graduates from universities and colleges is attributed to a poor background right from pre-primary school. There are many ‘Like Child Nursery School’ and they could be a suitable vindication of the situation.